Tell us about your car and it's location and will give you an offer! Once you accept our offer will schedule a convenient pickup time! Get paid in cash instantly when we arrive! $ - Highest Cash Paid on the Spot. $ - Guaranteed BEST PRICING! $ - 28 Years in Business! $ - GET PAID Instantly in C@$H! $ - Guarantied customer satisfaction! $ - Same Day Service is Available! $ - No Negotiation During Pickup! $ - Professional Customer Support! $ - Paid in Cash not Check! $ - Free Pickup of any Car, Year, Model! $ - We do all the Paperwork! $ - No Hidden Costs or Fees! $ - WE ARE OPEN!!! 8AM TO 9PM MON-SUN!!! We buy all types of Junk Vehicles including, all years, makes and models in any condition. Providing the highest cash paid on the spot! vans, and SUVs - all years, makes, and models in any condition. 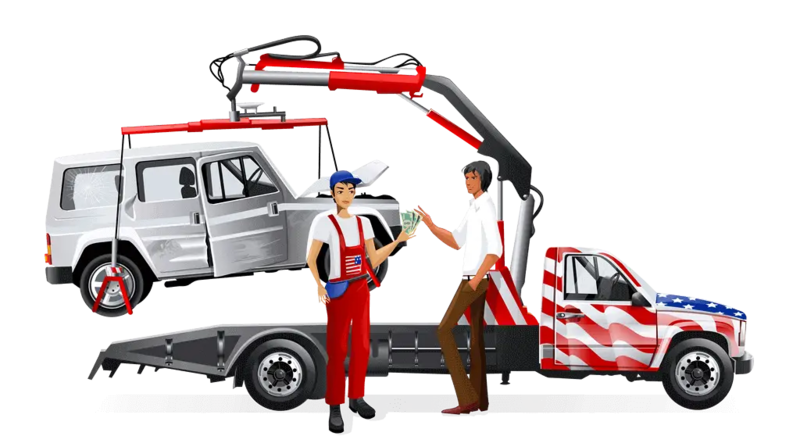 With more than 28 years of experience in the junk my car removal business, we pride ourselves on the quality of our prompt, honest, professional services. Feel free to contact us today for more information about our Auto salvage junkyard services.